In the backyard of the big three automakers, a small start-up is producing some very high-end supercars. Based in Holly, Michigan, Falcon Motorsports is making cars the old-fashioned way: By hand. 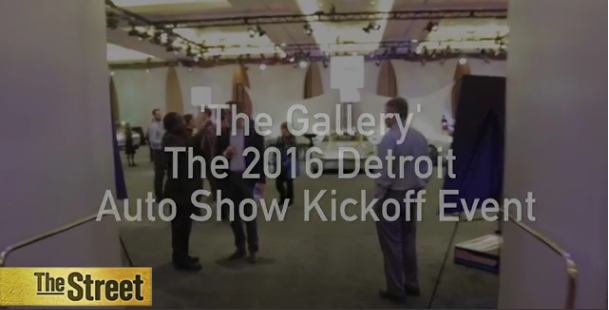 Bloomberg traveled there to see how the family-run operation is churning out custom cars that start at $295,000. Beyond the big three giant car companies in the U.S., most people are familiar with the names of famed U.S. carmakers that no longer exist, such as Duesenberg, Studebaker, and Packard. But there are lesser-known companies, such as these, still making cars today (and some more recently deceased). What began as a model built by Studebaker in the early 1960s became its own car company—one that changed hands its share of times. Avantis were based on versions of a rounded-wedge design created by Raymond Loewy and sold for the 1963 and 1964 model years. A new Avanti Motor Corporation created the Avantia II using GM mechanicals. That lasted until 1985. In 1987 the company was sold again, and this time the New Avanti Motor Corporation lasted until the early 1990s. In 2000 production of a GM-platform Avanti began in Georgia. It switched to Ford drivelines in 2004, and these cars were little more than Mustangs underneath with styling similar to the original Avantis. By 2006 production had moved to the spring break mecca, Cancun, Mexico, with total production being only about a few hundred cars. The last Avantis to be made rolled off the line in 2007—though you can never count out another comeback. Reeves Callaway is an auto fanatic who began building and selling turbocharger kits for BMWs and Volkswagen GTIs in the early 1970s, then moved into hot-rodding Corvettes in the 1980s. Today his company takes Corvettes, Camaros, and even Silverado pickups and modifies them at his Connecticut or California facilities. Most of the tuning goes into the hand-built engines, which upgrade the output to 650 hp for the C16 (Callaway’s version of the C6 Corvette). Callaway also adds special leather interiors and matching luggage. Callaway’s cars can be serviced at Chevrolet dealers and carry a three-year or 36,000-mile warranty, just like Chevy’s own cars. Buyers can take delivery of a Callaway Corvette at the National Corvette Museum in Kentucky. Callaway Camaros come with aerodynamic body panels and a 572-hp engine, plus embroidered headrests and floor mats. Toward the end of the 1980s, when showroom stock racing was crowded with high-priced sport coupes, Warren Mosler created his own low-slung, lightweight racing cars modeled after aerodynamic prototype GT cars. Mosler’s original Consulier was powered by the latest turbocharged 2.2-liter Chrysler four-cylinder that made so much power Carroll Shelby lent his name to the Dodge Omni GLH (nicknamed “Goes Like Hell”) economy hatchback. Mosler built enough Consuliers that they qualified as production cars and were street legal. These days, the new Mosler MT900SCs—which share a low-slung, midengine configuration with the original Consuliers—get to 60 mph in a claimed 3.1 seconds and can top 190 mph. The MT900SC’s engine is based on a 7.0-liter Corvette LS7 V-8 that is standard equipment in the Corvette Z06. Racing versions have been tuned to more than 1000 hp. In 1988 pharmaceutical company founder Donald Panoz bought the design of a racing car chassis in Ireland and started development of the Panoz Roadster, which went on the market in 1990 to embody “brute strength and raw power built for the absolute pleasure of high-speed driving,” according to the company’s promotional materials. That car, as well as its descendants—the bare-bones 1996 AIV (aluminum intensive vehicle) and the 1997 Esperante—are darty and race-car-like on the road, running on aluminum Ford V-8s. Also in 1997 Panoz began racing his cars at Le Mans. A couple years later he started the now-popular American Le Mans Series and began buying racetracks and opening driving schools. SSC stands for Shelby SuperCars, created by Jerod Shelby—no relation to the legendary Carroll Shelby. SSC’s Jerod Shelby is a kart racer and designer from central Washington State, where SSC is headquartered. Last summer SSC announced plans to build five versions of its 1300-hp, seven-speed Ultimate Aero XT supercar, which is an evolution of the company’s Tuatara supercar. This twin-turbo V-8-powered midengine GT sports car is currently SSC’s fastest car, and was also recognized by the Guinness World Record folks as the fastest production car in the world until the Hennessey Venom GT took that honor. Jeff Lemke, a 41-year-old Detroit-area car nut, spent more than a decade building composite body panels for Dodge Vipers. 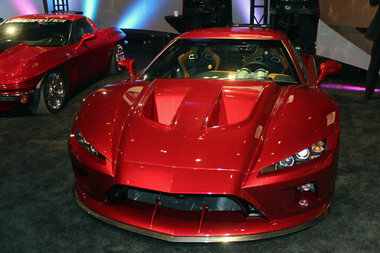 But in 2009 he chased his dream to build his own car, the Falcon F7. This two-seater features a midmounted Corvette LS7 V-8 engine. There are three running cars, and the first production model was sold to a New York enthusiast in 2012. Lemke claims a top speed over 200 mph, and we drove the production car at over 100 mph. It’s 3 inches longer than a Lamborghini Gallardo LP550-2 and 2 inches lower. The chassis is based on an aluminum monocoque from a race car and the body is carbon fiber. Ever since John Hennessey’s hot-rodded Dodge Vipers from the 1990s started racing in open highway time trials in the West and in Mexico, the Texas tuner has gained a reputation as a top-speed addict. His twin-turbo V-10 Viper set a record in a Road & Track magazine test in 2007, which led Hennessey to completely rework his top-speed concept with a brand-new design: a Lotus Exige two-seater with a Corvette LS7 V-8. The new Venom GT is lighter and smaller, yet the twin-turbo treatment carries over to the 7.0-liter V-8 engine that makes 1244 hp and drives the rear wheels through a Ricardo six-speed manual gearbox, the same that was used on Ford’s GT. The Venom GT has longer front and rear subframes than its Lotus donor car, as well as longer and more aerodynamic bodywork. Eight of these cars have been built—a black one for rocker Steven Tyler of Aerosmith fame. The price of the Venom GT is about $1 million per copy, and top speed is a claimed 278 mph. “We’re not trying to reinvent the wheel, just make it turn a little faster,” Hennessey has said, saying that increased horsepower models are in the works. John DeLorean, the late charismatic former GM executive, founded his own car company to build two-seat sport coupes in 1981 and 1982. But the venture failed after producing about 9000 cars. A liquidator purchased unsold cars shortly after the company failed, and small independent companies began to carry replacement parts for the unique midengine stainless-steel-body cars. In 2007 one of these companies, DMC Texas, began to produce new cars made from mostly stock parts, and sold these 1980s restorations for about $60,000 each. Now called DeLorean Motor Company of Humble, it also sells refurbished used DeLoreans from its shop in Humble, Texas. Plans are in the works to build and sell all-electric DeLoreans starting around $90,000, which will feature a 100-mile range and a 260-hp electric motor. The huge utility Pacific Gas and Electric operates a fleet of more than 13,000 vehicles in California. Soon many of those will be replaced by all-electric work trucks, vans, and SUVs, through a partnership with VIA Motors, a custom EV-maker that has former General Motors vice chairman Bob Lutz on hand as spokesman. VIA’s eREV (extended-range electric vehicle) lineup includes pickups, vans, and full-size SUVs that can travel 40 miles on battery power and switch to fuel-powered generators that can produce from 15 to 50 kilowatts to recharge batteries and supply power to homes during emergencies. During typical driving, VIA claims its trucks can achieve 100 mpge. 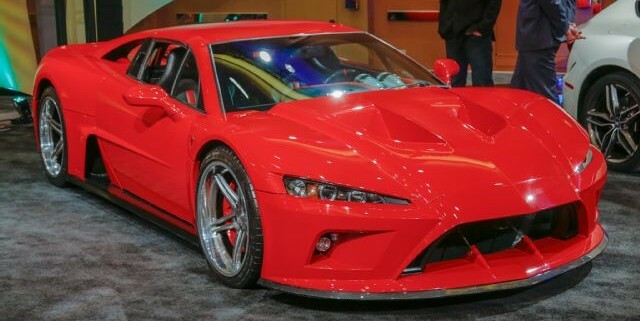 Bloomberg’s Matt Miller looks at the 620-Hp Falcon F7 at the Detroit Auto Show.